mResell is a safe platform to purchase refurbished Apple products. 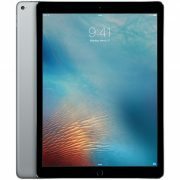 We have a vide range of iPads – iPad Pro, iPad Air, iPad mini – that have all been serviced and checked by a certified technician. We offer outstanding price and warranties of either 6 or 12 months, with the possibility to purchase extended warranty for an extra sense of security. New offers are listed daily, and popular devices often sell within a couple of days. Our additional warranty provides an extra sense of safety. Our 14 days return police enables you to return a device you are not satisfied with for whatever reason. We also offer free shipping across the whole of UK on all of our devices.